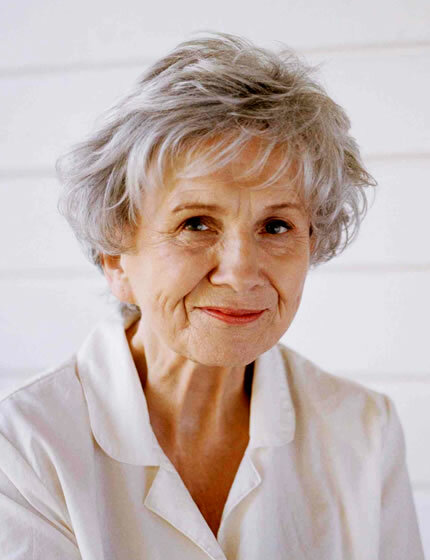 • Despite all you have heard and read, Alice Munro didn’t actually win the 2013 Nobel Prize for Literature. She earned it. There’s a big difference – a pertinent distinction. People win lotteries all the time; all it takes is one ticket and luck to strike like lightning. In marked contrast, Munro, now 82, has spent a life in letters, producing 14 original collections of such quality that, in announcing the name of the 110th Laureate on October 10, the Swedish Academy selection committee acknowledged her “mastery of the contemporary short story.” She is the first Canadian and 13th female to earn a place in the pantheon of great writers, alongside the likes of Hemingway, Eliot, Churchill, Yeats, Steinbeck and Sartre. It is highly unlikely that history will record her surname alone. It will likely be prefaced by “Canadian author Alice…” but here at home, simply the ubiquitous “our Alice.” And that’s part of the joy and justice of the international recognition and acclaim that pushed bad news and madness off the front page for a few days. Highlight reactions include those of the recipient, who doesn’t like to talk about herself in public. The Nobel committee couldn’t reach Munro when she was nominated – long-listed then short-listed – and left a voice mail. She first heard the news from her daughter, in the middle of the night, while asleep in a Victoria hotel. Although somewhat aware she was in the running, a “terribly surprised” Munro never thought she would actually ‘win’ and is now reconsidering her retirement, since she suddenly has new insights and fresh ideas. All the fuss was about the most coveted literary prize of all, consisting of a gold medal, a diploma bearing a citation and a sum of money, which fluctuates with Nobel Foundation income, but likely in the area of approximately $1,200,000 US, the richest literary prize, by far. There’s also an invitation to lecture during “Nobel Week” in Stockholm, a seat at the head-table of the prize-giving ceremony and the banquet on December 10 when everyone will, at last, see and hear “our Alice” up close. All made possible through the last will and testament of Alfred Nobel in 1895, which established funds for annual prizes for the “greatest benefit on mankind” in the fields of physics, chemistry, peace, economics, physiology or medicine and literature. The privileged son of the inventor of plywood, Alfred himself held 355 patents and enhanced his fortune and fame as the man who gave the world dynamite and himself, ever escalating guilt. The Munro announcement touched off its own explosion both globally and at her quiet, rural residence in Clinton, Ontario. Closer to home, it touched off paparazzi-like fireworks in Victoria, BC and sparked an avalanche of interview requests and international attention which will echo through time. And book sales, of course, which may ultimately be what it is all about anyway. That’s why the long list of books was concocted – to stretch the suspense and stimulate purchases. October 10 was a good day to still be in the tough business, especially in Victoria at Bolen Books, Ivy’s in Oak Bay and even in used bookstores like Russell Books, which sold out of older Alices, mostly on-line. But it was especially fantastic at the epicentre, Munro’s Books, co-founded with first husband Jim, who was celebrating his 84th birthday on that very day and just the month before joyfully marked 50 years at the helm of what is arguably the best bookstore in Canada. Jim got to use the line, “Alice doesn’t live here anymore,” again. The couple co-founded Munro’s Books in 1963, specializing in paperbacks, which was highly unusual at the time. Surrounded by books at work, Alice, who had always written, believed she could do much better than most of what she was selling and began to spend less and less time in the store. Her first published work, Dance of the Happy Shades in 1968, was selected for the Governor General’s literary award, followed by two more, as subsequent books garnered the Man Booker International Prize, two Giller Prizes, the Commonwealth Writer’s Prize, National Book Critics Circle Award and the Trillium, etc. The couple divorced in 1972 but remained close friends, often getting together for dinner and to discuss books, of course. Everybody has – or should have – a favourite, like a piece of treasured jewellery. Treisman is reprinting The Bear Came Over the Mountain (1999), a love story about Alzheimer’s adapted into the movie Away From Her. Make your own top pick and take your time. Munro re-reads very, very well. ‘Best of’ lists most often include: The Love of a Good Woman, Runaway, Lives of Girls and Women and Who Do You Think You Are? A big winner is the short story itself, small and personal, self-contained, taut in the hands of a master, perfectly suited for today’s tiny attention spans and too-busy lives. But first place goes to us, we who share the geography, landscape and settings from Kits to the Bay of Fundy, particularly women in small-town southwestern Ontario, their ordinary lives made extraordinary, striking universal chords. Praise for the most popular Nobel selection in years was unanimous worldwide from fellow writers and devoted readers alike. Almost. Bret Easton Ellis opined on Twitter, “Alice Munro was always an overrated writer and now that she’s won the Nobel she always will be. The Nobel is a joke and has been for ages…” The remark may outlive his instant celebrity as author of the 1991 serial killer novel American Psycho. “Who?” Ms. Munro asked when informed by the UK’s Guardian. Her ideal, she said, is to write “something so clear, as if looking through perfectly clean water, so words don’t get between the reader and what’s happening.” More than enough of us do get it and genuinely appreciate the gift of Alice Munro and her precisely crafted tales about us. She is decidedly not edgy, but dignified, always in fashion, ambassador of what’s still the best in a country. “Our Alice,” now one for the ages.